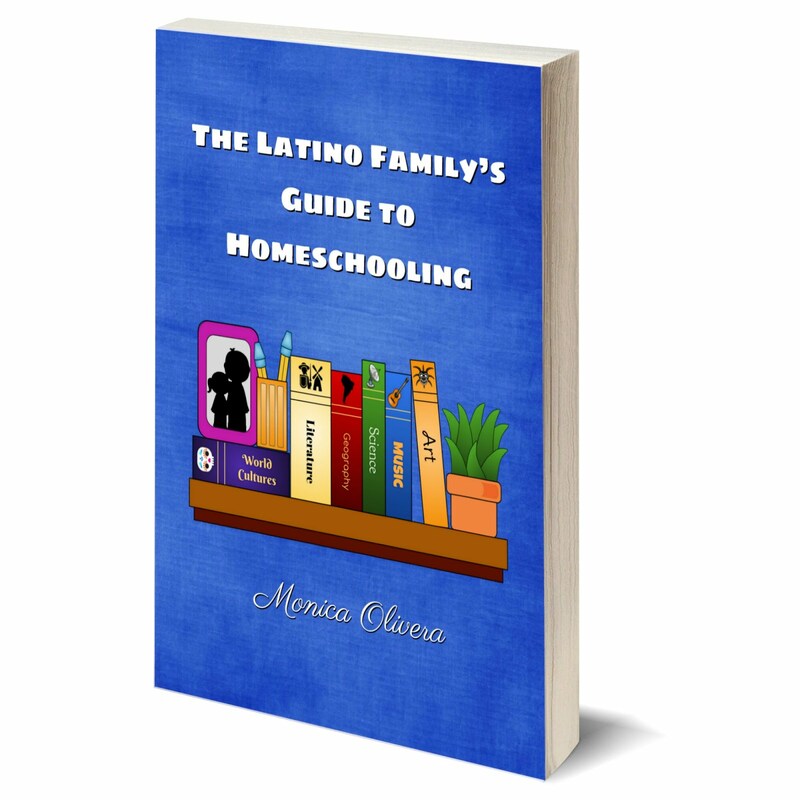 The following is a product review by homeschooling mom, Mireya Marroquin Dunn. 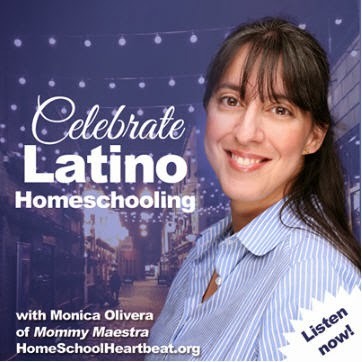 Gracias, MommyMaestra for all the valuable resources you provide on your blog and other social media sites. Some of your followers just started back to school or homeschool again with their kids, and others are just about to start in the coming weeks. 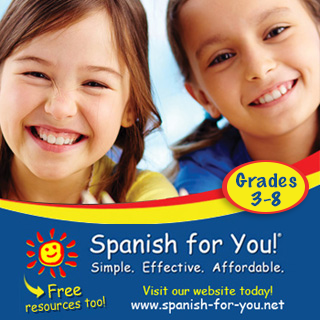 Over the summer, I found a fabulous site that you can use to supplement your child's curriculum with bilingual vocabulary words in subjects other than Language Arts in English or in Español. 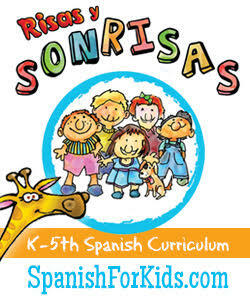 Most of us are looking for curricula in Spanish, and MommyMaestra has shared with us great links to Spanish curricula programs that teach Spanish. However, I was not seeing much on the subjects like Science, Math, Social Studies, etc. Over the summer, I came upon a website called "Mr. Elementary". He has a TPT store and blog. An elementary school teacher, Mr. 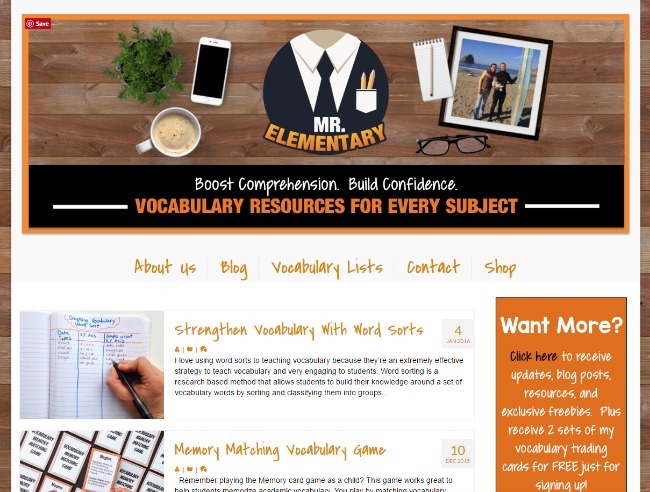 Elementary has found a way to help his students learn core material topics that are taught throughout the year (vocabulary words) that helps boost comprehension and build confidence. Why not learn them using trading cards and wall picture cards? 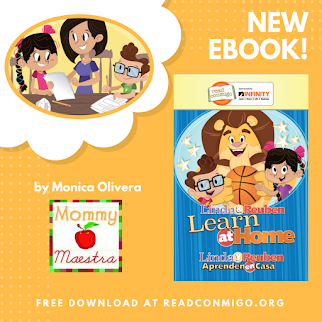 He offers them in an array of topic materials: (Science) the moon phases, the water cycle, simple machines, inventors & scientist: (Math) geometry shapes, fractions, money, place values; (Social Studies) like map skills, communities and conflict and resolution, and many others. Since he had several students that were ESL or ELL, he wanted them to learn and comprehend the use of these vocabulary words. The best part is that these cards are in SPANISH for FREE when you purchase the English version. So your kids can learn them in both languages. Mr. Elementary offers these topics individually or in a bundle pack to pass on more savings to you. 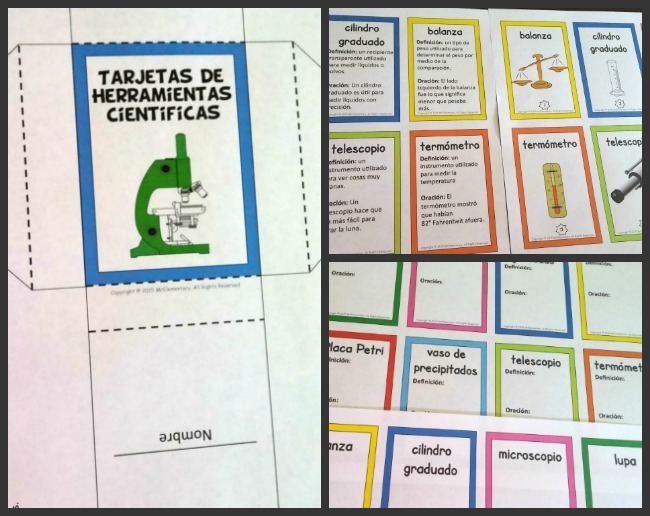 I started to use the Scientific Tools vocabulary cards (tarjetas de herramientas cientificas), to introduce my teenage son to these Spanish words. Since he is required to learn biology and a foreign language (2 yrs of the same language), he chose Spanish to earn his high-school credit to graduate. So I thought, why not learn Spanish vocabulary, too? This would give him a boost with his Spanish comprehension. The cards can be printed on cardstock or copy paper. You can also print a larger (wall) size version. I will have them taped to my kitchen wall for a few weeks as we learn about the material. The colored images are nice and colorful, easy to understand with a brief definition & a sentence, and you can print on the back of the pictured vocabulary trading card. You also get blank cards so your students/kids can draw their own images and write their own definitions. These cards can be played as a game or used as a great way to quiz each other. You can keep them in a nice card box using the fun template that comes included in the download, plus he provides a trading card manual with 15 pages of tips and ideas on how to use these trading cards in your classroom or home. I am looking forward to getting more topics that my son can relate to his biology class or other subjects while incorporating new Spanish vocabulary words. It's a plus for me as well. Since my own education took place here in the United States and I only spoke Spanish at home, I never learned many of these Spanish vocabulary words as I was growing up. 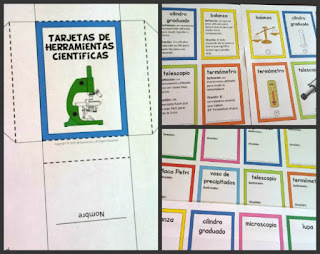 In my opinion, using these bilingual vocabulary trading cards is a great value to your classroom or home, especially since they cover topics that your students/children need to learn throughout the school year.